Tremain Polk a career criminal has been arrested after fatally shooting a tow truck owner over a dispute sum of $285 after his car was impounded. 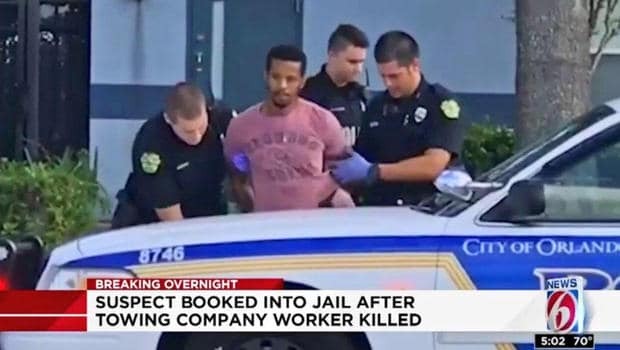 Tremain Polk a 35 Orlando, Florida man has been arrested after allegedly shooting to death the owner of a tow truck company during a dispute over a $285 he owed for his impounded car. Shot and killed was 53 year old man, Paul Gren, the owner of the Tow Truck Company. 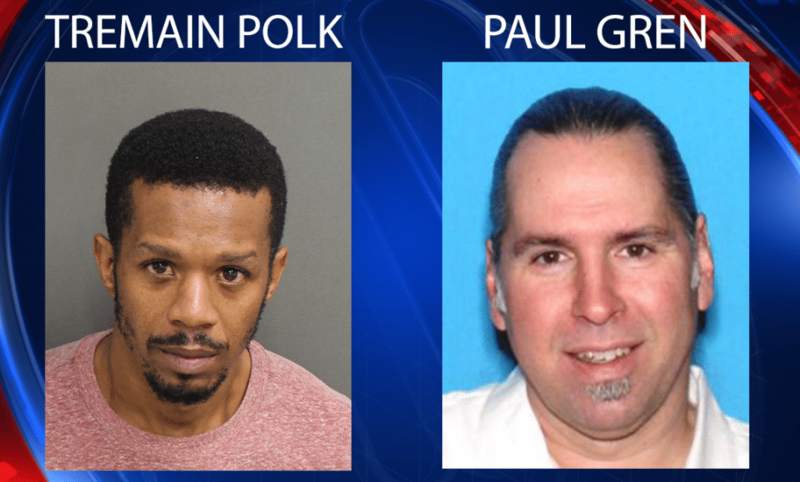 A report via the Orlando Sentinel told of the shooting happening Tuesday night at the grounds of the car impounding company as Polk vehemently disputed having to pay the owed amount of $285. A police affidavit said Polk only had $135 on him. Upon his arrest, Polk was charged with first degree murder. At the time of the disagreement, employee Erica Hicks told of Polk trying to push his way into the office, only stopping when she threatened to call cops. Surveillance cameras captured Polk returning and jumping a chain link fence and making his way onto the grounds where he busted the windows of three cars before getting into his vehicle and driving it towards a closed bay door. Investigators said Polk was trying to open the door when Gren confronted him. Hicks told investigators Gren had a gun in his hand but kept it by his side and didn’t raise it. She said Polk started to walk away. ‘She described how Polk took ‘two steps’ inside the door, turned around toward Gren, took a gun from his waistband, and fired three shots at Gren from point-blank range,’ the arrest affidavit said. According to police, the shooting wasn’t captured on camera but Hicks was on the phone with police dispatchers when the shots were fired. Despite taking Gren to hospital the owner was declared dead a short time later. Known for having harsh policies at his business, that led to many angry drivers, friends of Gren’s said that they never believed it would lead to the owner’s life being taken away. Polk left the scene but was arrested later Tuesday night. A report via the ledger told of Polk having been previously arrested on charges including homicide, attempted robbery, attempted second-degree murder of a law-enforcement officer, aggravated battery and burglary in records dating back to 1997, court documents show. Polk was released from prison in 2012. He’s currently being held in the Orange County Jail.